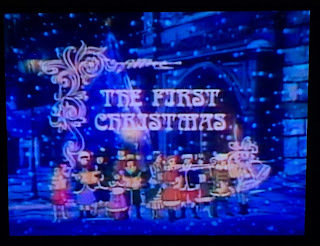 In response to reader Patrick's request for more info about "The First Christmas" cartoon, here is some more information. 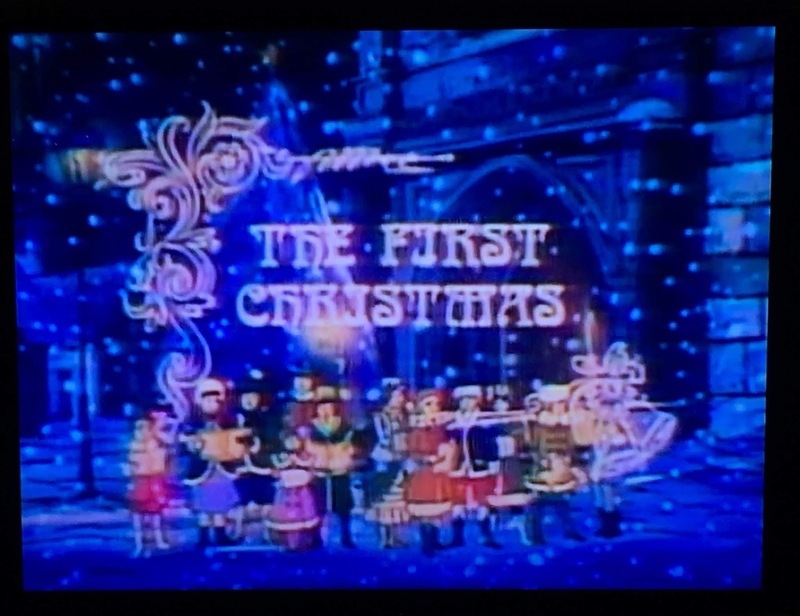 The cartoon is titled "The First Christmas" and was produced for The Bible Society by "API". 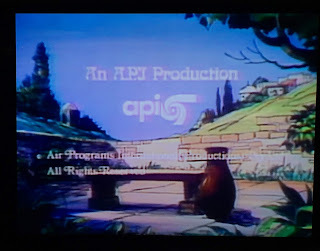 I couldn't find a production date - the animation style seems consistent with the late '60s/early '70s. In addition to the elements I mentioned earlier, like the birth of John the Baptist, it also includes the story of Simeon (Luke 2:25-35), prior to the holy family's flight into Egypt, and other additions that make it a complete story of the times. It's really a great little cartoon. I couldn't find a video of the cartoon itself on the internet, but fortunately the DVD set is still available. It's a Mill Creek Productions set, available at this Amazon link and other web outlets (sometimes with different packaging). 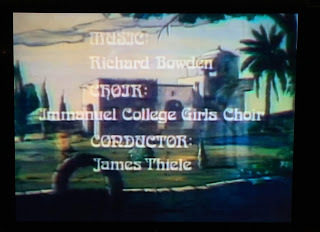 Here are a few screen shots from the video - the initial title and a couple of the end credits, plus the DVD cover. The DVD set is a great treasury of Christmas cartoons, TV shows, and movies. I'm not a huge fan of Christmas lists anymore. Although I respect their utility for Christmas shoppers, I like to view them more as 'guidelines' than precise lists. After a couple Christmases long ago where I had a detailed list, and I got exactly what was on the detailed list, which had simply no element of surprise to the gift-opening extravaganza, I started moving away from them. I do have an Amazon Wish List, used as much as a placeholder for myself than for people shopping for me, but other than that in the past few years I have not given anyone a Christmas list. One reason is that, especially with my children, I like to see what they come up with on their own instead of just picking something off the the list. The best presents are those that come from the spur of the moment, the "Hey! Dad would like that!" times. 1. Book "Kansas City Noir", Book "Secrets of the European Micro-States", and a nice dark red casual shirt. Only the European Micro-States book was on my Amazon list (and it was buried deep - #1 daughter likes to go as old as possible on my wish-list). "Queer Eye" book was from #5 child (#3 daughter), who saw it on display and thought it would be good (it is!). Evel Knievel Museum tickets couldn't have been more unexpected, but it will be a great visit! All the children are great gift-givers (as is my wife). My oldest son kicked off our family Christmas with his announcement that he has finished the first draft of a novel, and handed out copies of Chapter One. The novel is titled "So Cold Down Along the Beach". Can anyone tell me where the title comes from? It's Christmas Eve. We're (mostly) relaxing at home today - reading and coffee this morning, pictures of the decorations in our house before it was fully light, taking the middle Bingle daughter's dog outside. I watched a couple favorite cartoons. First "A Pink Christmas" the Pink Panther Christmas cartoon, based on the O. Henry story "The Cop and the Anthem". Then, a wonderful and complete telling of the Christmas story called "The First Christmas". It's on a super-compilation multi-DVD set of Christmas cartoons, movies, and TV shows. It's the most complete telling of the Christmas story I've ever seen, as it includes the story of Zechariah and Elizabeth, the parents of John the Baptist, and Mary's visit to cousin Elizabeth before she was visited by Gabriel with his message to her. Joseph's reaction to Mary being with child and the subsequent dream visit by Gabriel follows, and then the traditional story of the journey to Bethlehem, Jesus' birth, the magi, Herod's death squads, and the flight into Egypt. So now one daughter is making gingerbread cupcakes as we (slowly) prepare to leave for Mass. Following Mass we'll join our oldest son and his wife, joined by all our children, for a Christmas Eve dinner of meatball sandwiches, then settle in to watch "A Christmas Story" (perhaps, if I have any say, preceded by "A Charlie Brown Christmas"). And then home for a Christmas Eve night, and an early morning, though not as early anymore as in years past, as the youngest Bingle girl is now 17. (Although, she decreed a few weeks ago that, Yes, Santa will stop here!). I hope you all have a happy, safe, and peaceful Christmas Eve and Christmas Day! As we near Christmas Day, I have an ask of you. I know that you all are fans of Christmas music, and most likely fans of a broad swathe of music in general. Jazz, blues, rock, pop, country, zydeco, classical, electronica, metal - music is a language that, no matter the dialect, is understood by all. Music is powerful. It can be a teacher, a healer, a pick-me-up, a muse, an energizer. It can bring joy and peace. And, for children, especially those who may be in less-than-ideal circumstances beyond their control, music can provide solace, focus, and a feeling of accomplishment that they may not be able to get elsewhere. I am asking you to consider supporting two charity organizations, each of which was founded by dear friends of mine. Each organization is focused on providing music and musical education to children, but in far different ways. Please read on to learn more. Music Across Borders was founded by my friends Nick and Lindsey Jarrett here in Kansas City. Music Across Borders is a 501(c)(3) organization that sprang from the success of their pilot project, Strings for Uganda, where violins were provided to the children in an orphanage in Uganda, in partnership with a nearby school where the children received musical education. Music Across Borders aims to expand beyond the single partnership of Strings for Uganda, and provide musical instruments and education to other places where the children would otherwise have very little, if any, opportunity for learning musical performance. You can learn more about their projects, mission, and the good folks who serve on their board. And it's easy to support Music Across Borders via a donation on their website. Music Across Borders is a brand new charitable organization, formed just this year (2018), but I am certain that they will succeed. I can barely imagine how the children respond to being able to learn and play a musical instrument. Learn more on their website and their Facebook page. 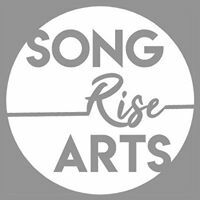 Song Rise Arts is also a brand new nonprofit organization, created in 2018 by Kelley McRae. Kelly is a singer-songwriter who, along with her husband Matt, sold their Brooklyn apartment back in 2011 and hit the road in their VW van, touring the US non-stop, playing house concerts, bars, and venues of all sizes - pretty much anywhere they could get a gig. I met Kelley when I booked her for a living room concert at my place, through internet contact only. I didn't meet Kelley until she and Matt rang our doorbell before the show. We've been friends ever since, and I've followed their musical careers which have led them across the USA a few more times as well as a couple tours in Europe. Kelley and Matt have settled down now in the Austin, TX area, and devoted themselves to their music, songwriting, and teaching. Song Rise Arts grew from Kelley's love of sharing her songwriting gifts with others, especially those who may not have the privilege of this kind of education. Song Rise Arts' mission statement begins with "to provide low-income and underserved youth with music education, mentorship and professional performance experience." The wonderful programs Song Rise Arts provides are free songwriting workshops, in partnership with other Austin-area nonprofits, for LGBTQ+ youth, refugee girls and foster kids, and the Young Artist Program, where they will provide ten students with free songwriting classes, individual instruction and mentorship with professional Austin musicians. If you've enjoyed Merry & Bright during this Christmas season, or are a long time visitor here, please consider supporting one or both of these great organizations. I love their missions and their passion of reaching children through music. Click their 'donate' links and send them $25, $10, $5, or whatever you can afford. I truly appreciate your support and thank you for any gifts you can send to Song Rise Arts and Music Across Borders. Today's share is "Christmas Bells" by Paul Mickelson, from the Supreme Recordings label. Mr. Mickelson, according to the album sleeve, is an ordained minister in addition to being a musician. 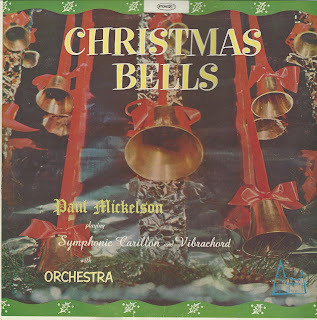 Playing the symphonic carillon and the vibrachord and with orchestra accompaniment, "Christmas Bells" is packed with 25 (25!) tracks. They are mostly classic carols leaning to the spiritual side, but there are a few that we don't often see, such as "As With Gladness Men of Old", "There's a Song in the Air", and "Thou Didst Leave Thy Throne". 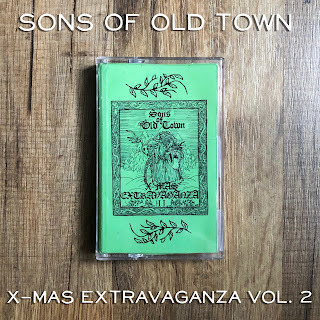 Alongside "I Heard the Bells on Christmas Day", "Good King Wenceslas" and the perennial favorite "O Holy Night", this is a an album sure to please. 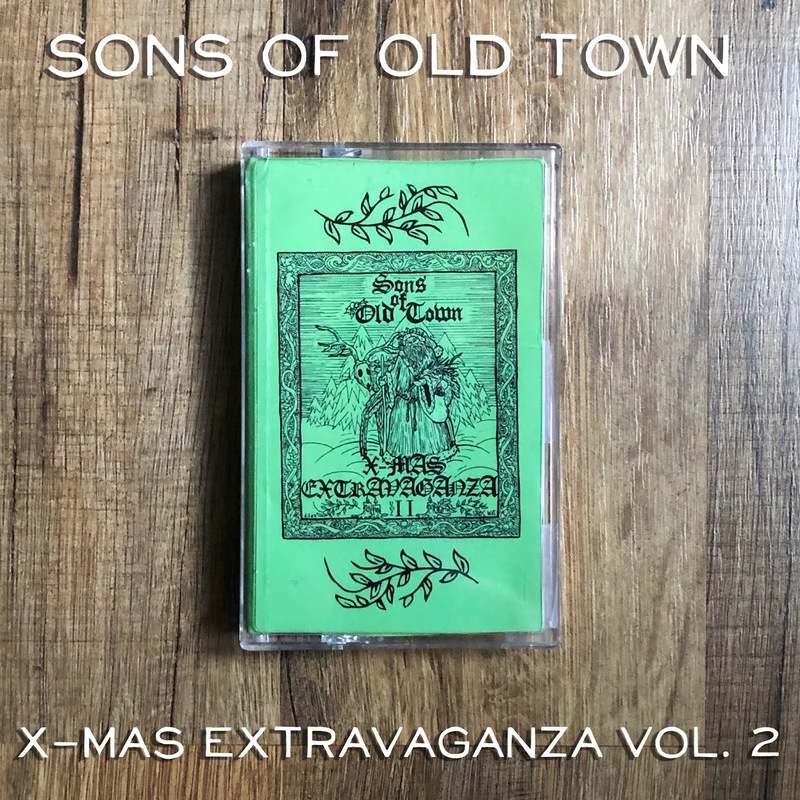 The music is soothing and a bit atmospheric, definitely leaning toward the solemn, fit more for a quiet evening of reflection than for your annual Christmas block party. The album was in good condition, and the rip sounds pretty decent. Twenty-five songs on a vinyl album means a lot of short pieces - many are under two minutes, and King Wenceslas wins the race at a mere 0:57. The plus side is that there are so many songs to enjoy!